There is a super fast, super easy and super safe way of making a deposit on your bingo accounts that is coming to bingo sites all over the world. Boku is a revolutionary way of making payments that only needs your mobile phone number; no credit cards, bank details or personal information. So how does it all work? Boku works by using your mobile phone number, although you can use Boku on a tablet, laptop or desktop PC. You simply provide your mobile number and the amount of your purchase is then added to your usual phone bill. The whole process will take less than 10 seconds and Boku call it 1-Tap as it is just one tap of the screen. 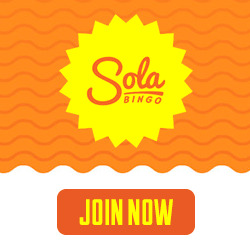 Although online bingo sites are safe and secure, the fact that players don’t have to provide any bank or card details makes Boku very appealing for those who prefer to keep personal details private. The fact that no card details whatsoever are required, greatly reduces the risk of credit card fraud and provides peace of mind for players. Boku is really simple and quick to use. Because all you need is your mobile number, there is no long forms to fill in. It is just one number and one tap to process. Boku will also send you regular texts telling you how much you’ve spent so far so you can keep tabs on your payment history easily. The one major factor to note is that players that use Boku to credit their accounts won’t be able to claim the deposit bonuses on offer. Mobile providers share part of the revenue so the savings can’t be passed on to players, although this is being looked into and may change in the future. There is also a limit to how much you can deposit using Boku. 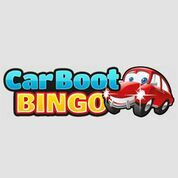 There is a minimum of £10 (even if a bingo sites offers a £5 minimum) but a maximum of £30 per day (this is currently £30 per month for O2 customers) so if you’re wanting to wager larger amounts, this won’t be suitable for you. The reason for this cap is to stop players from racking up huge mobile phone bills and helps encourage players to gamble responsibly and within their budget. 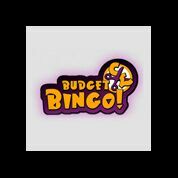 Boku isn’t available at every online bingo or casino sites at the moment, but it’s being made available on more and more sites every week so will soon become a regular payment method. When you go to make a deposit on your account, look for the ‘pay by mobile’ option. You’ll be asked to enter your mobile phone number and taken to the Boku payments screen. You’ll be sent a text to confirm you want to make the payment and the transaction is then processed. The amount is added to your mobile bill so you don’t have to worry about having card details on you. It’s that simple!